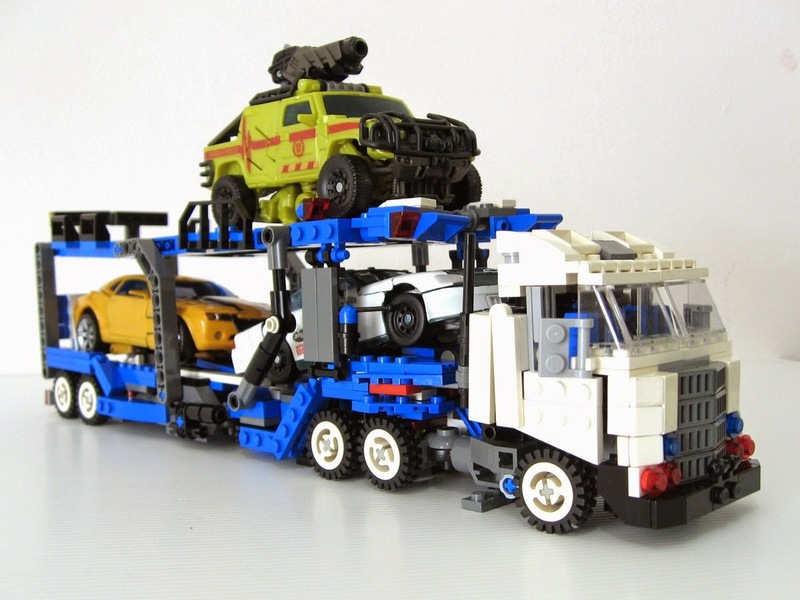 2005, few years after I gotten myself out of the dark ages and being pretty new to bricklink marketplace, I was limited by the parts I owned. 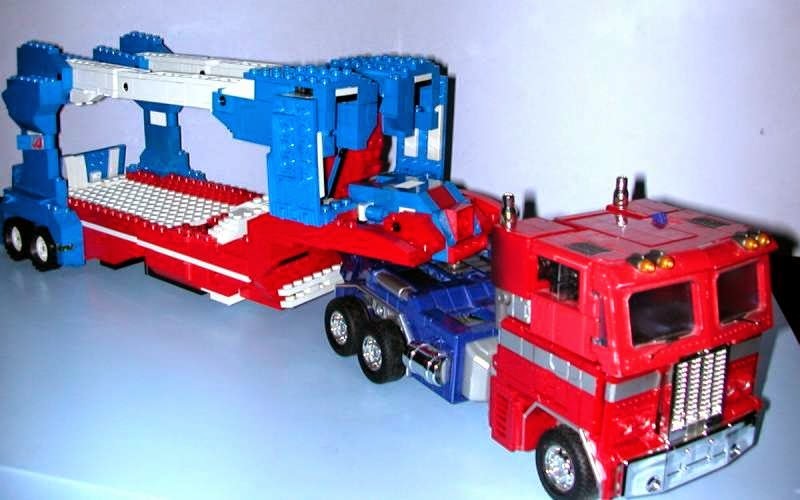 This MOC complements Masterpiece Optimus Prime (MP01) ,so it did not have a cab mode. 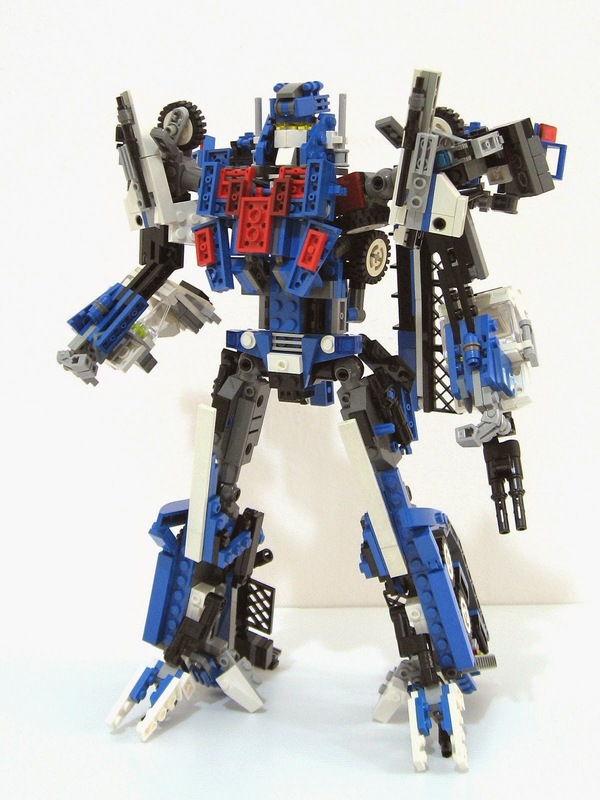 This year I built a "Movie Style" Ultra Magnus. 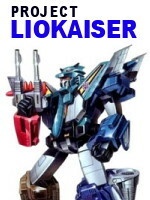 I made this one just in time for the 3rd Transformers live action movie, Dark of the Moon. 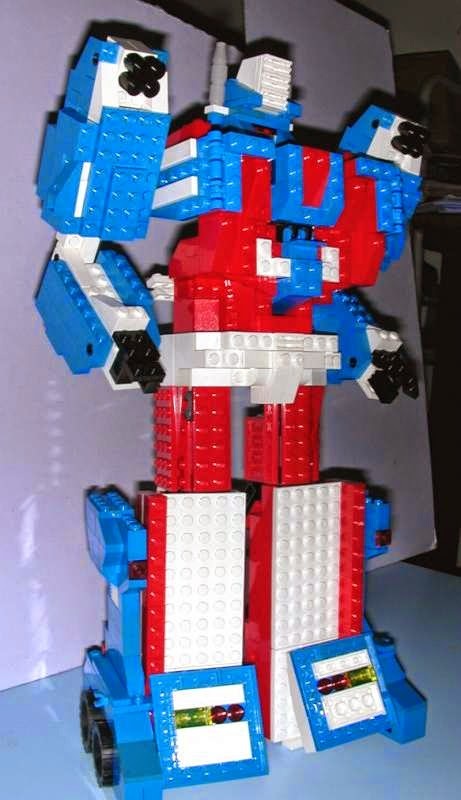 I took the challenge of building a LEGO Transformers that looks "busy" with many shards on the overall body, and of course.. the chicken-legs as well. 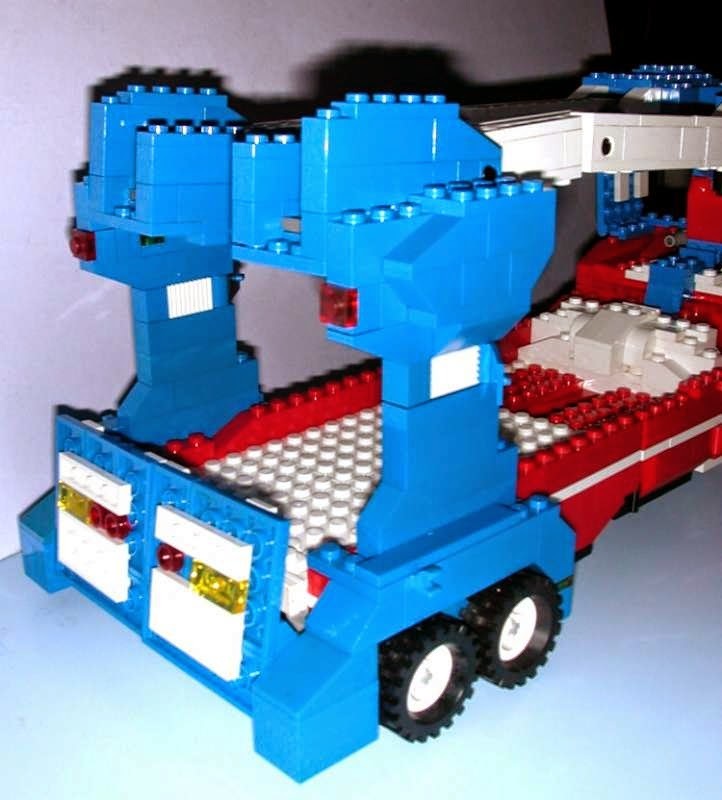 In retrospect, I think I might have just overdone this MOC alot. 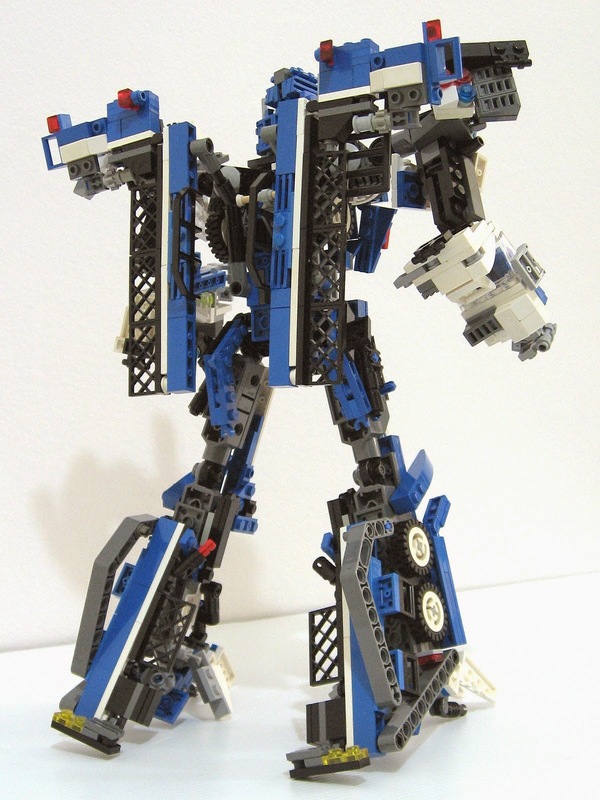 There are too many moving/folding parts , hinges and all.. a huge effort to transform between modes. 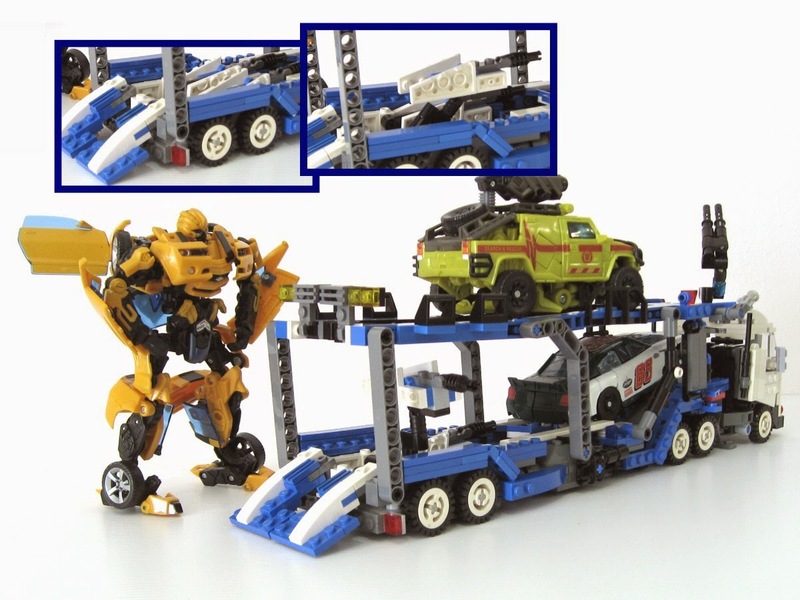 Always been displayed in robot mode presently, I transformed it back to car carrier mode just now, took me 15 minutes!